Updated at 10 p.m. EDT June 30 (0200 GMT July 1). The disposal followed an otherwise successful test of the power panel’s novel roll-out deployment technique, which engineers say could help future spacecraft generate more electricity and still fit inside the fairings of existing rockets. The unique design of the experimental solar array is different from the way solar panels on existing satellites deploy. Current solar panels unfold like an accordion using mechanical hinges, but the roll-out design could save volume and mass on future missions, officials said. Engineers observed the behavior of the solar array as the space station sailed through day and night during each 90-minute orbit of Earth, exposing it to extreme temperature swings. A mechanical actuator also introduced vibrations and oscillations to gauge the array’s response to structural loads, and engineers measured the power production from solar cells attached to the panel. The experiments went well, NASA said, but ground controllers were unable to lock the solar panel back in its stowed configuration after rolling it up last Saturday. Officials opted to re-extend the array before a control center in Canada commanded its release Monday, an eventuality foreseen by the solar panel’s designers, who added a built-in jettison mechanism to the structure. Officials did not intend to retrieve the solar array, but mission managers planned to roll up the panel and return it to the Dragon spacecraft’s external payload bay, which will burn up in Earth’s atmosphere Monday when the commercial cargo carrier’s pressurized capsule heads for a parachute-assisted splashdown in the Pacific Ocean. The Dragon capsule’s homecoming was scheduled for Sunday, but NASA and SpaceX officials on Friday delayed the departure and splashdown due to a forecast of unacceptable sea states in the landing zone. The uncontrolled solar array will likely stay in orbit several months until it succumbs to atmospheric drag, which will pull it back into the atmosphere for a destructive re-entry. 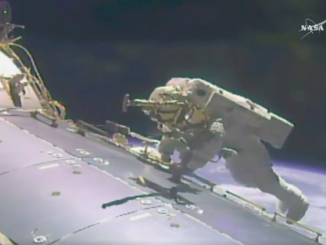 The robotic arm returned the solar array’s attachment plate to the Dragon capsule’s trunk for disposal. Developed by Deployable Space Systems of Goleta, California, in partnership with the Air Force and NASA, the Roll-Out Solar Array tested solar cells capable of generating up to 300 watts of electricity. But future versions of the solar panel could extend to much greater lengths, producing as much as 500 kilowatts of power, according to Banik. Commercial communications satellites currently operate on no more than about 25 kilowatts of electricity. Higher-power spacecraft are needed to feed large ion engine drives that could propel space probes to other planets, or help maneuver military satellites between different orbits around Earth. Space Systems/Loral, a California-based manufacturer of large telecommunications satellites, has selected the ROSA technology for potential use on future broadcasting spacecraft. High-strain composites at the core of the prototype solar array could also be used in other deployable space structures, such as radar antennas, communications antennas and solar sails, Banik said. 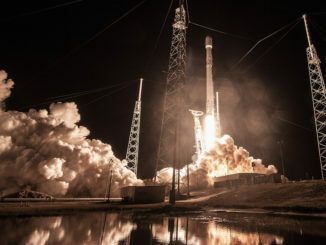 The Dragon spacecraft arrived June 5 at the International Space Station, two days after its launch from NASA’s Kennedy Space Center in Florida on a Falcon 9 rocket. The recycled cargo freighter is on its second flight to the space station, following a 34-day mission in September and October 2014. The capsule also delivered a NASA astrophysics instrument designed to study the nature of neutron stars, a commercially-developed Earth observation platform, a habitat with rodents for research into a new drug that could fight osteoporosis, among other experiments. The unpiloted capsule carried 5,970 pounds (2,708 kilograms) of equipment and experiments for unpacking by astronauts and the station’s robotic arm. The station crew will finish loading cargo heading back to Earth before closing the hatches leading to Dragon on Saturday. 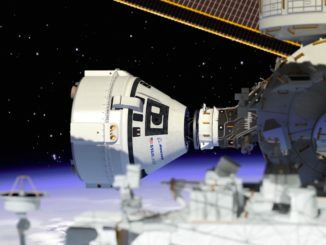 If weather and sea conditions in the splashdown zone are deemed favorable, the Dragon capsule will be unberthed from its attachment port on the station’s Harmony module Sunday, then released from the robotic arm via a command from astronaut Jack Fischer at 2:28 a.m. EDT (0638 GMT) Monday. A series of thruster firings will send the craft a safe distance from the space station for a de-orbit braking burn. 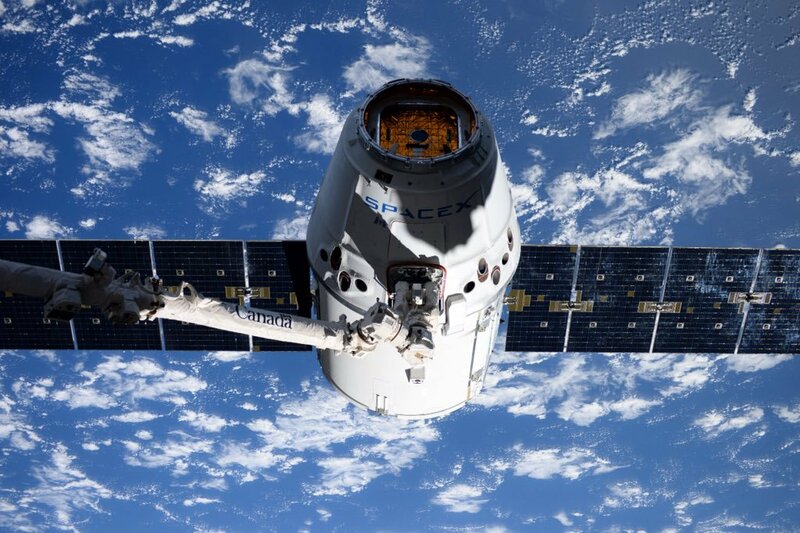 The pressurized section of the Dragon cargo craft will head for a splashdown in the Pacific Ocean about 260 miles (420 kilometers) southwest of the California coast at 7:56 a.m. EDT (1146 GMT) Monday, while the unpressurized module will break apart and burn up in the atmosphere.